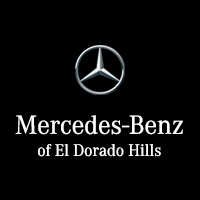 And you can browse the C-Class at Mercedes-Benz of El Dorado Hills today! But first, take a look at a few review excerpts to see what you have to look forward to. The 2018 Mercedes-Benz C-Class Sedans, Coupes, and Cabriolets maximize power without comprising practical fuel economy. The base engine is a 241-hp 2.0L turbo 4-cylinder, which gets upgraded to an AMG®-enhanced 362-hp 3.0L biturbo V6 or a 469- to 503-hp AMG® 4.0L biturbo V8 as you move up the line. Each engine gets paired with ECO-START®/Stop a 9-speed automatic transmission. Excellent mileage is guaranteed, with the most fuel-efficient gas C-Class getting an EPA-estimated 24 mpg city/34 mpg highway rating. Optional features include a panoramic sunroof (standard on the coupe), leather upholstery, a 13-speaker Burmester® Surround Sound System, and PARKTRONIC® with Active Parking Assist. We could show you numerous positive reviews for the 2018 Mercedes-Benz C-Class, but we’d rather you explore the lineup here at Mercedes-Benz of El Dorado! Contact us to schedule a test drive near Folsom, or get pre-approved online by filling out our secure finance application!